The HTC smartwatch is taking on something of a fable at this point, considering that we've seen leaks from @evleaks but have yet to see one emerge in the wild. Usually, smartwatches that are soon to leak end up posing for photos, or worn on someone's wrist at some random event, and so on. As for the HTC smartwatch, we've seen nothing, just heard a few whispers here and there and the occasional rumor that pegged the device's arrival in June, next month. Well, Evan Blass (aka @evleaks) is back, as usual, to give us some tips about the rumored smartwatch that we'll believe when we see it. According to Blass, the HTC smartwatch is again delayed, meaning that you can forget a summer launch: "HTC wearable bumped again, to the fall. Hurry up, HTC, before people realize that they don't really need these products," Blass posted from his Twitter page. We're told by Blass that the device is an "HTC wearable," but he doesn't call it a smartwatch - leading some to think that HTC is going after the wearables market with something of a fitness band or a modular piece that could connect to a smartwatch or fitness band rather than create a smartwatch of its own. Other seem to think that HTC is holding off from bringing its smartwatch to market because of Android Wear 2.0, but I don't think that's it. Rather, I believe that HTC is likely having production problems or needs a little more time to get something about the device right before bringing it to market. The HTC smartwatch had been given to February 2016 before being pushed back 4 months, leading many to believe it will never come. Blass holds out hope for Fall 2016, but with HTC's track record (having delayed in February and June), is it likely we'll even see it this Fall? 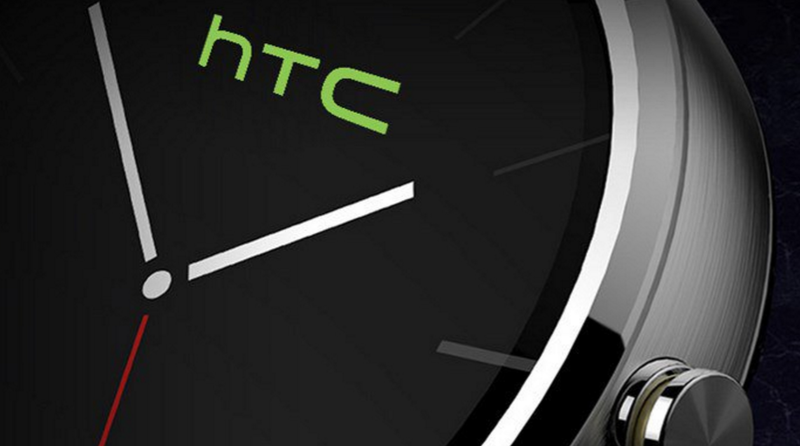 I don't hold out much hope, though HTC could inaugurate its first smartwatch with the launch of a new smartphone. I honestly think the HTC 10 launch would've been a perfect time to make a smartwatch announcement. HTC has had some trouble doing much of anything on its own. The company has partnered with Under Armour to produce the UA fitness band, which signals that HTC is gifted at hardware but just can't produce its own software. HTC has already told us that it would "turn the industry on its head" when it decides to make a smartwatch, but the Taiwanese phone maker will need to do more than craft a gorgeous smartwatch to turn heads. We've covered in Parts 1 and 2 of our analysis on the HTC smartwatch what HTC must do to get ahead in Android Wear. We have no evidence of HTC using another wearables platform, so we'll have to trust that AW is the target, for now. What do you think of this news? Are you getting more frustrated with HTC and the rumored smartwatch that looks less likely by the day? Have you given up and jumped in the smartwatch game already? If so, what smartwatch have you purchased?